Bro. 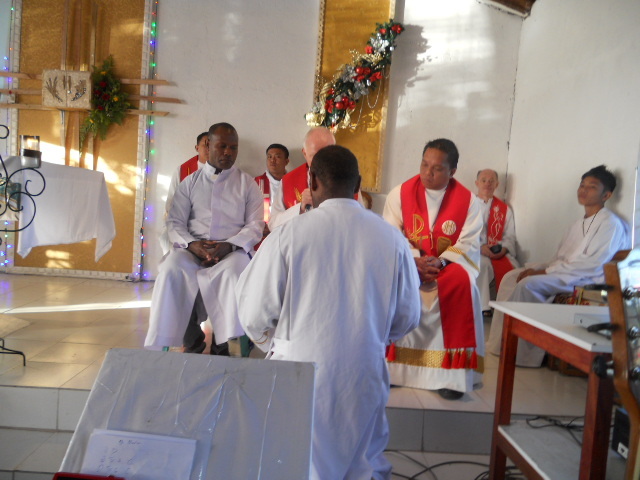 Aubin, SM renewed his Vows in Matti, Philippines! On December 28, 2012, Sem. 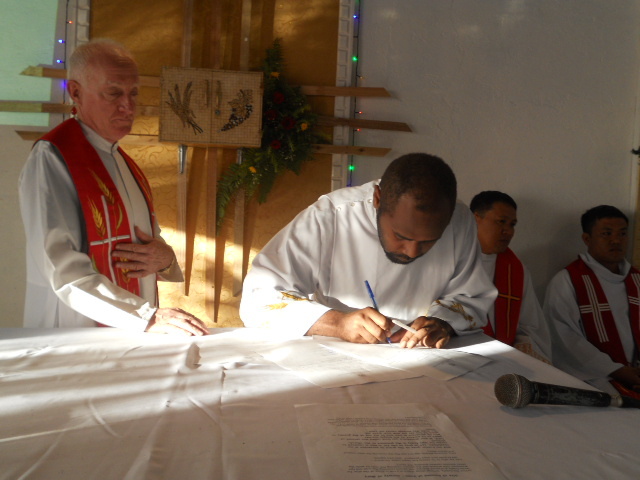 Aubin Naumaori, SM renewed his evangelical vows for another year. His vows were received by Fr. 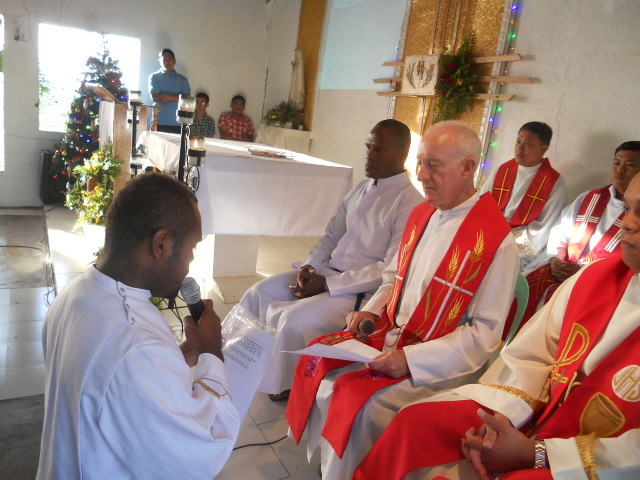 Pat Devlin, SM, District Superior of the Philippines and witnessed by Fr. Chris Ganzon, SM and Bro. John Votaia, SM. 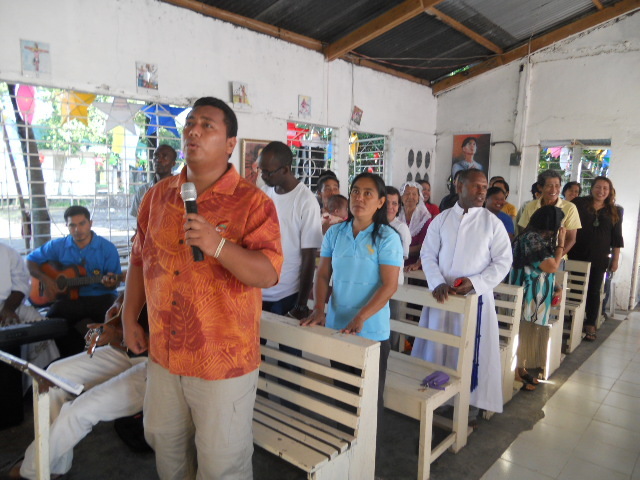 Joining the celebration were the 6 Novices of the International English Speaking Novitiate and the local people of the community where Bro. Aubin is doing his pastoral work. His renewal was the first in this pastoral area making it memorable. Bro. Aubin is a Solomonese Marist doing a 2 year Pastoral Year as part of his training for Marist Priesthood here in Matti, Digos, Philippines. We continue to pray for him. All blessings Bro. Aubin on your Marist life!